Concrete continues to be a popular trend in the décor sector. Everything from kitchen finishes to walls, roofs, vases and vessels are mimicking this construction material. 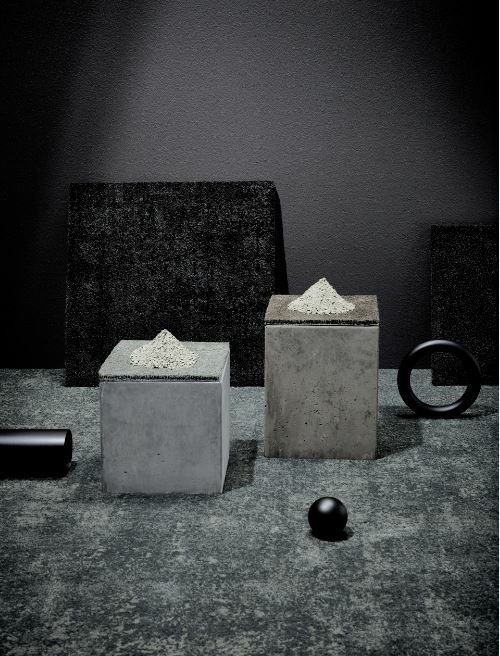 Flooring company Belgotex has now launched a broadloom carpet collection that is inspired by this robust material. The carpet range, called Cast*, expresses the textural attributes of concrete in a number of ways. As designers and architects will know, concrete can be highly textured or sophisticated and smooth. The broadloom carpet range offers two design options that will help you tap into these finishing options. The first design, Stripped, pays homage to the rugged nature of raw concrete. By contrast, Exposed delivers an understated aesthetic that exudes to the subtle industrial finish of solid cast concrete. There are six different colours in the range, namely Flint, Silt, Basalt, Shale, Clay and Lava. Whether your client is going for a brave or bold look, these six strata-inspired colourways will enable you to co-ordinate the flooring effortlessly with the modern mix of materials and finishes that are found in today’s décor landscape. Cast is ideal for both commercial, high traffic installations as well as residential clients who are looking to inject a modern, urban edge into their homes. The SDX properties of the range deliver unparalleled colour-fastness and bleach resistance. The reality of the deepening water crisis has given rise to serious water-saving initiatives. Belgotex is proud to deliver this collection as a product of waterless manufacturing. The dry-manufacturing process is part of the company’s Green Journey and the switch in product development and production to only SDS (Solution dyed) ranges resulted in a 100% reduction in water consumption for yarn processing, as well as a reduction in chemical and energy inputs. If your client is looking for a complete eco-solution, Cast can be installed over Green Underlay made from 100% recycled material. It is anti-allergenic and adds comfort and extended life to carpet.